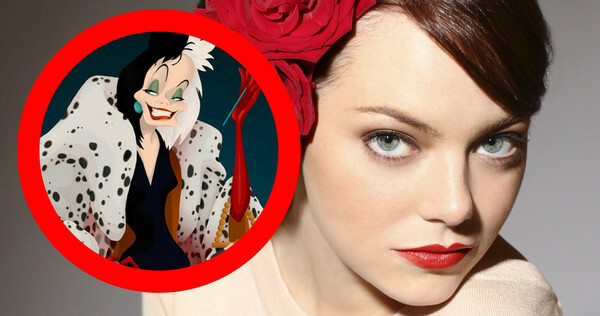 Disney isn’t done with their successful trend of villain origin stories and the latest baddie up for story-time is Cruella de Vil and the good bet is on Emma Stone for the fashionable future puppy-murderess. Talks are early right now with the star, but hopefully this one will actually happen! I love her and ‘101 Dalmatians‘ is one of my favorite cartoons in the Disney Vault, so the combo has got to be awesome! Bonus points for tossing in a song or two for the husky-alto in Stone to wail. No director is attached, yet however, there is a writer on the project, none other than Kelly Marcel of ‘Fifty Shades of Grey‘ fame with Andrew Gunn on board to produce. I’m sure we will see Cruella as a fashionable 20-something making her mark on the world and her friendship with Anita, future owner of the dalmatians Cruella is dying to get her hands on for a spectacular coat. This entry was posted on Friday, January 8th, 2016 at 9:37 am	and is filed under Film, News. You can follow any responses to this entry through the RSS 2.0 feed. You can skip to the end and leave a response. Pinging is currently not allowed. « Film Review: ‘The Forest’!